Let's go...Winner Winner Chicken Dinner. Team KTUSTUDENTS.IN is Conducting PUBG Mobile Tournament on Sunday 27th January 2019. The Squad Who wish "Winner Winner Chicken Dinner" Prized with ₹3000/-, and ₹1500/- for Second Prized Team. 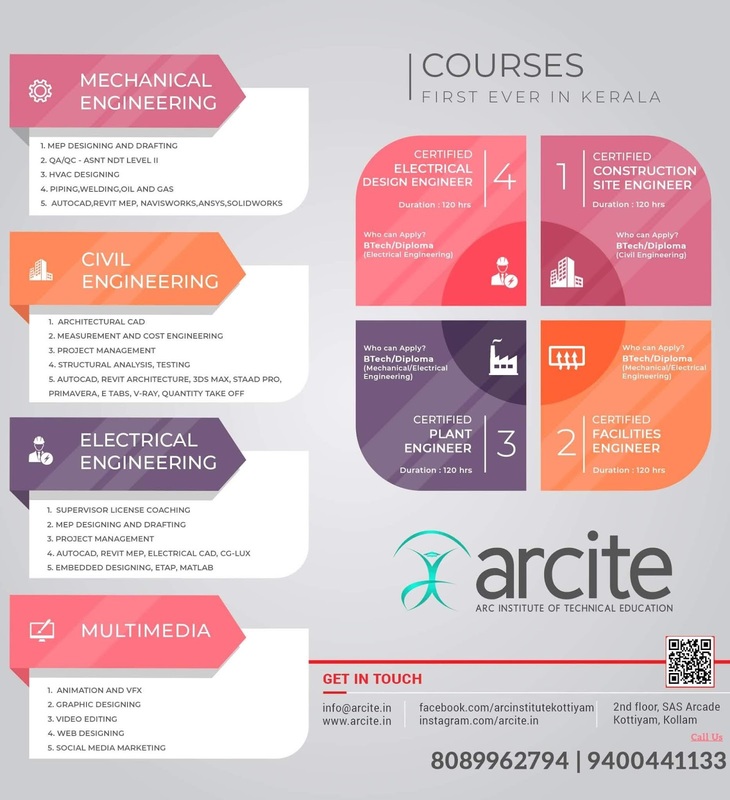 Last Date of Registration:26/01/2019 2.30 PM. All rules are mandatory for all the teams. In case of disorders in the prescribed set of rules, the team will be disqualified with direct effect. 1.Its a PUBG Mobile Version Tournament.Participants can also contest using mobile version simulation in PC. 2.As it is a team match- either 4 or Less than 4 members of Team can take part. 3.The entry fees is accepted directly through bank or upi. Rated @ Rs 200/- per Squad.Non Refundable. Payment Detaild will be forwarded after registration. 4.Play Map will be either Erangal or Sanhoke. Final decision will be made after majority opinion. 5.Tournament will be held in TPP play mode. 6.Top 10 teams will be qualified to the final round from room matches. From final round the winners willbe decided. 7.Before 15 min of commencing the room matches the contestants will be notified "Room ID, Password and Squad Room Slot Number" through the whatsapp. 8.The members who are not registered will be remove just before the game. 9.During the initiation of rooms, if someone automatically gets removed, we are not responsible for that. But if the whole team gets removed , we will consider it. 10.Winner of the match will be announced on 27th at 9.30 PM through instagram.com/ktustudents . 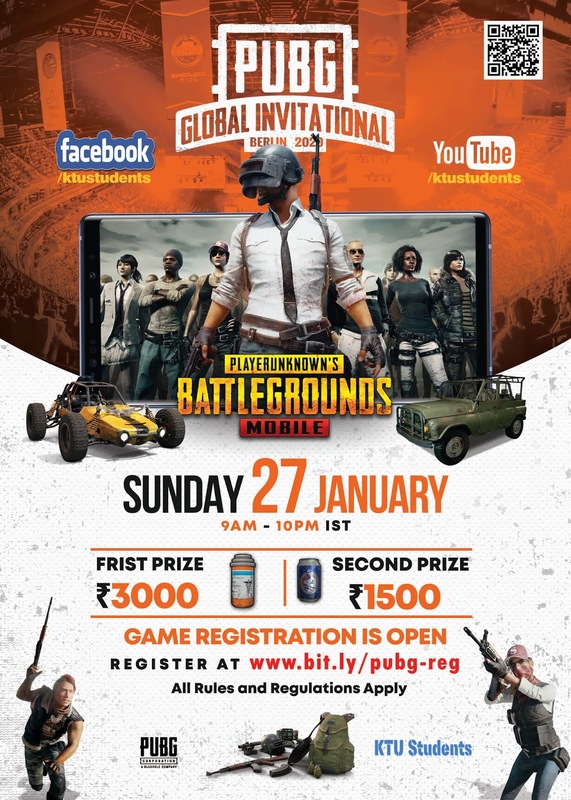 PUBG Tournament Powered by KTUStudents.in, First prize 3000 rupees and second prize of 1500 rupees.PUBG-Mobile-Gaming-Tournament-by-ktustudents.in. Rules and Regulations Apply.Match day 27th January 2018.